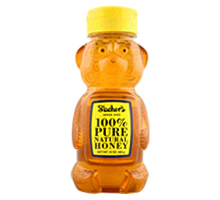 Clover Honey 16 oz and Bear 12 oz – Clover honey is honey that has been harvested from bees that have gathered nectar from a majority of clover. 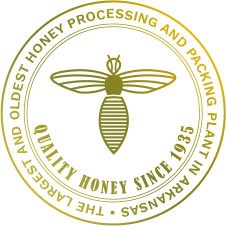 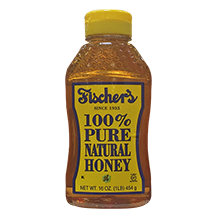 Clover honey varies in color from very white to extra light amber and has a mild, delicate flavor. 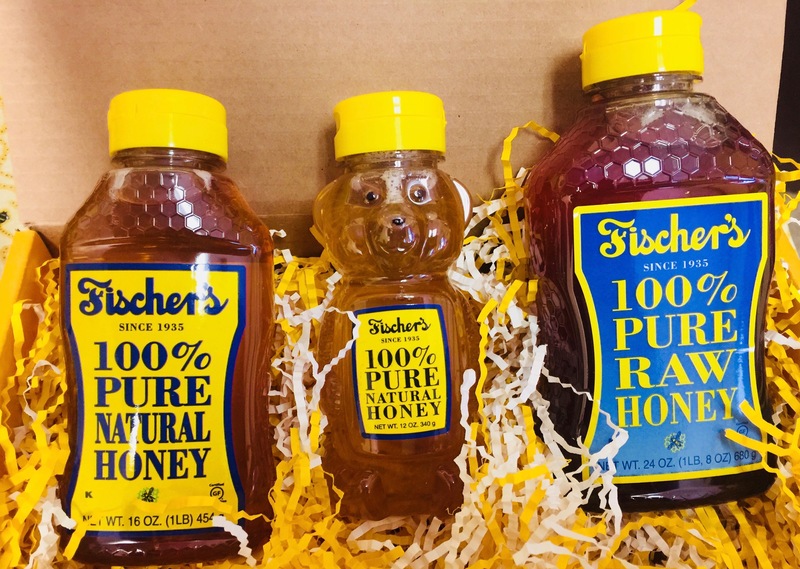 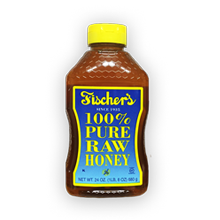 Raw Honey 24 oz – Fischer Raw honey is created from a blend of local wildflower honey with a touch of sweet clover honey.